Over the past few months the following keywords and phrases have underlined my every action, thought and conversation; 'in the moment', fluidity, dérive, and last but most importantly, love. As I grow, my interests have morphed shaped and reformed–and I'm convinced the built environment has a profound impact on city dwellers' lives, mainly their social interactions. I moved to Amsterdam, and the photo above was the view from my desk, everyday–for about two months. I thought I had stumbled into some sort of... I just didn't even know how to describe it–that feeling–upon first seeing this city. It just takes you in. Amsterdam, welcomes everyone. 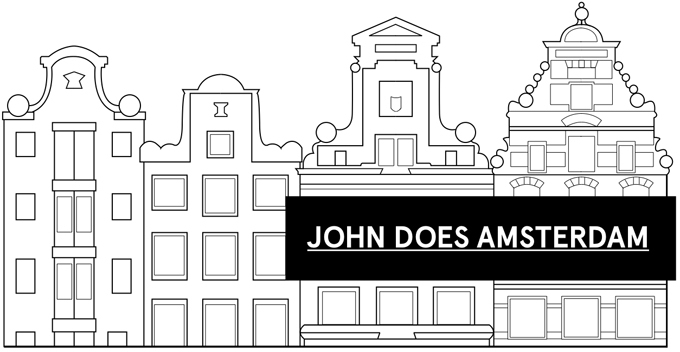 The neighborhood–the Jordaan–was suddenly my playground and backdrop for life, every day–work and play. Amsterdam, easily swept me away.